If it came on in the club, I could genuinely get down to that. I was on tenterhooks watching the gameplay - he almost fucked it a minute in but pulled it back. Man, I might make a thread about Net Yaroze and dig out my old demo discs to have a write up. I've still got the demo disc from the last issue of OPS1 which had a bumper selection of Net Yaroze titles alongside the best PS1 demos. A Hat In Time has a varied, interesting and memorable soundtrack - it's another part of the games' brilliance. Here's some of my favourite tunes - enjoy. Firstly, this is the tune that plays during the levels that basically rip off Super Mario Sunshine's no FLUDD shines. This is the tune from the first level of Chapter 2, perhaps the best chapter in the game. And, lastly, there's this, my favourite tune in the game. I think I'm going to buy the soundtrack, and I never buy soundtracks. Hah, that genuinely could have been a track in Mario + Rabbids. Oh boy, I really love the song this guy wrote! I'm going to get a Hat in Time at some point, that's for sure. It got overtaken by Yooka-Laylee on the Hype Motorway, but I'll get on it soon! Am I the only one getting Still Game theme tune vibes from that Croc track? I needed to hear that after the absolutely ear destroying tunes from that terrible looking Croc of Shite eShop game. Aye, but I can definitely see Jack & Victor dancing to it though. Thought it was time to give this thread a kick up the arse and give it a bumper update. 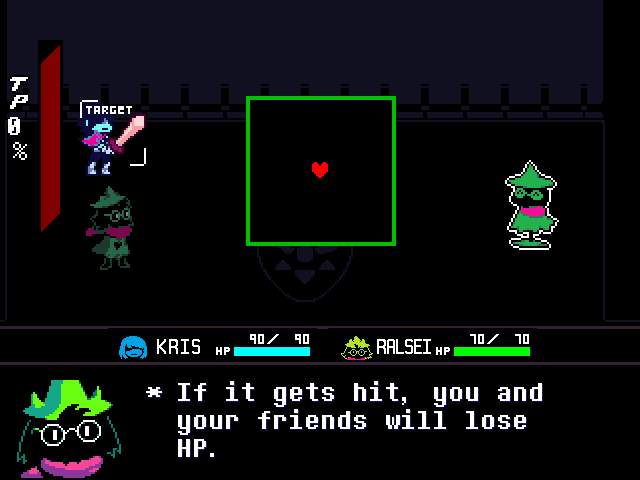 One of my favourite game soundtracks from last year was Deltarune. 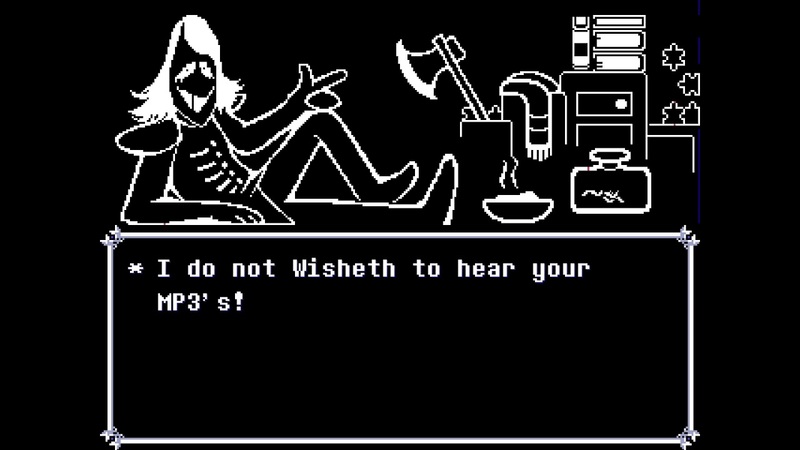 To the surprise of nobody that's played Undertale, Toby Fox put together yet another OST filled with memorable ditties and some cracking tunes. Here's a few of my favourites. Warning, spoilers within the paragraphs below! You have been warned. 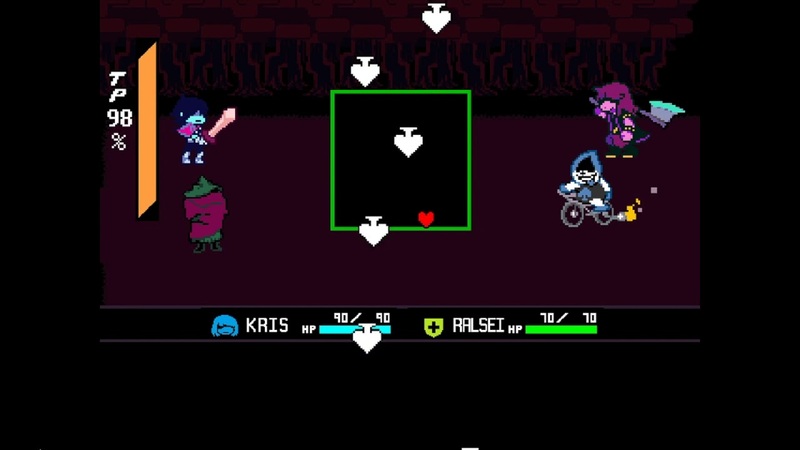 Field of Hopes and Dreams almost feels like an Undertale megamix. It feels very familiar and a lot of the melodies were either used in UT itself or crop up throughout DR in later tracks. It's what I consider as the "main theme" of DR. And it's an absolute banger, as the kids say. Gorgeous piano, a nice little sax bit and a very catchy tune. Here's an incredible cover by insaneintherainmusic. The flute sounds just lovely in his cover. This track doesn't sound quite the same without the pixelated shouts of "I CAN DO ANYTHING!" over and over, but it's still brilliant. Suitably manic, like a rave in a circus tent. Here's an awesome metal cover by Familyjules. For my money, the battle theme is the best track in the game. Just catchy, groovy goodness. I mean, I'll never get to hear the whole track due to beating enemies too quickly, but still, it's a cracker. Here's a great remix by Kamex which bumps up the funkiness a few notches. To finish off, the super chill shop theme that plays in puzzle master Rouxls Kaard's store. Not much to say here, but I do like those bells. And I can't believe I'm typing this, but here's a Smooth McGroove cover that I liked. ....GOD. DAMN IT. He's broken! McGroove did a quality remix of... er... the third one as well. For my money you've covered the best two tracks in FoHaD and the third one. Checker Dancer is my third place, I think. It's just so odd. McGroove did a quality remix of... er... the third one as well. Checker Dancer is my third place, I think. It's just so odd. I forgot this was in the game and I honestly don't think I could listen to it outside of the battle that it plays during - where it fits wonderfully, by the by. The track is just too odd otherwise. While we're on the subject of remixes, I've been trekking down the FoHaD remix hole. Here's a rocking job by Kamex, who you mention elsewhere (I'm not that keen of the original Rude Buster, and I think I actually prefer the remix ), and here's a high-quality SiivaGunner remix of Megalovania. I didn't like the Kamex cover of FoHaD - I came across it when I was fishing for a link for the insaneintherain cover. It just sounds too busy to me and misses some of that playfulness of the original version. I like the SilvaGunner version though... what a memelord.